(CNS): As was expected, the governor has denied that Dan Duguay’s contract was not renewed because of his openness with the media and his controversial reports. Duncan Taylor has said that he chose the new auditor general based on his interview and it had nothing to do with the current incumbent Dan Duguay’s frankness. 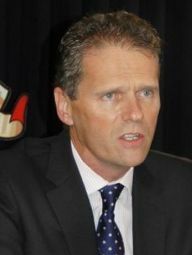 He denied that the premier had any influence over the decision as Taylor said he had not consulted the premier, though he admitted that he was aware of the comments McKeeva Bush had made about Duguay in the media.